Edgar Rice Burroughs’ Tarzan has proven an unstoppable force. While misguided movies, TV series, and musicals do their best to rob the ape man of his savage nature and integrity in the name of mass marketing and political correctness, Burroughs’ original Jungle Lord perseveres. Conventional wisdom may suggest time has passed him by, but it’s the vitality of the original that keeps readers coming back for more. Happily, talents like Joe R. Lansdale, Philip Jose Farmer, and most recently Will Murray have been willing to give fans further adventures of the real Tarzan. Turn back the clock four decades and you’ll find Philip Jose Farmer’s seminal fictional biography, Tarzan Alive (1972) had much to answer for in terms of launching the Wold Newton movement in popular fiction as well as boosting Burroughs’ cachet. While the book may be relatively obscure today, the ripples it created are still felt on the beaches of pulp fiction. For his part, Farmer launched a series of officially sanctioned books recounting the history of ancient Opar. 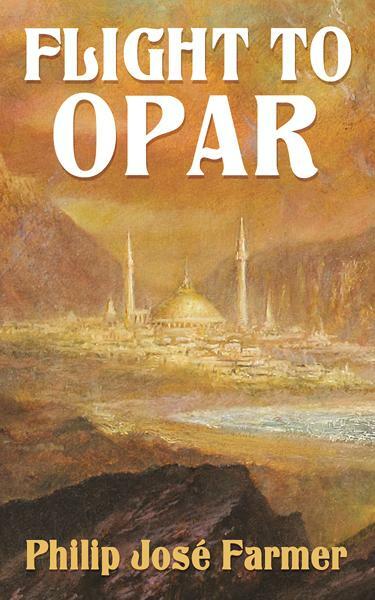 Longtime readers of Burroughs’ work will know that Opar was the first of the author’s lost cities (an outpost of forgotten Atlantis) that survived undiscovered in Tarzan’s African jungle. Farmer’s Opar books served as the missing link between Burroughs and Robert E. Howard in terms of crafting the pre-Cataclysmic kingdom of Khokarsa. 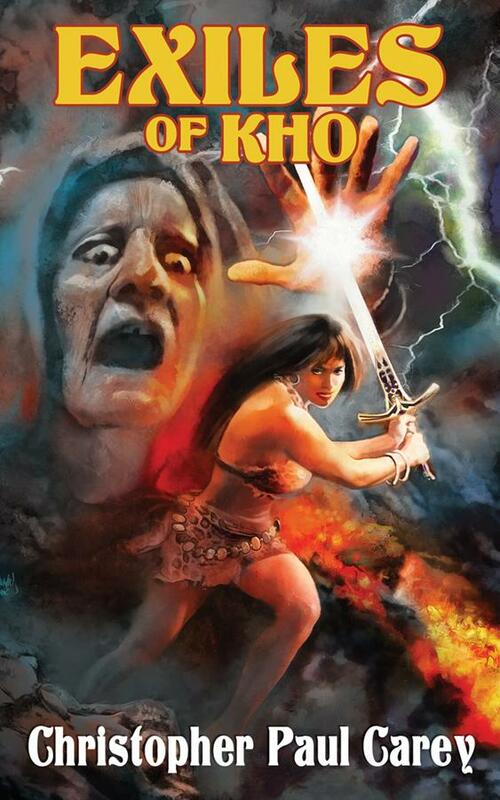 What separated Farmer’s tales of noble barbarians and beautiful seductresses from the sword & sorcery books that flooded bookshelves in the 1970s was a desire to treat the material as realistically as possible. Farmer’s characters die, their sexual encounters lead to unplanned pregnancies that destroy marriages and change the course of kingdoms. For all the notoriety of Farmer’s so-called adult fiction, his superior work in treating the adventure fiction of his youth as reality rather than fantasy remains his greatest accomplishment. Farmer only completed three books in the series: Time’s Last Gift (1972), Hadon of Ancient Opar (1974), and Flight to Opar (1976). 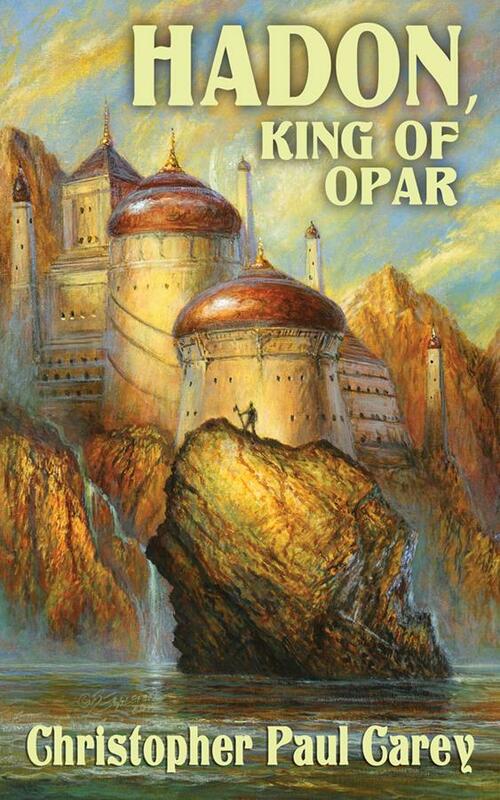 This was no trilogy or conventional series he was mapping, but rather a vast tapestry overlaying the history of an empire that would dovetail perfectly into Burroughs’ Tarzan novels featuring Opar as well as H. Rider Haggard’s interlocking Allan Quatermain and Ayesha series of adventure novels. Farmer’s work was ambitious as much as it was unique. 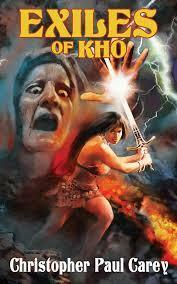 This was not an epic fantasy cycle any more than it was typical sword & sorcery. 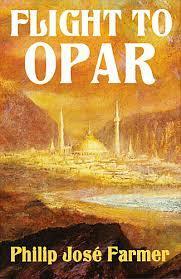 Farmer was crafting the backstory of Opar as if it were true historical fiction. The scope of his history was more than three books and even one author could reasonably handle. Farmer’s death seemed to leave this amazing legacy unfinished. Flash forward four decades and enter Christopher Paul Carey, an experienced author and editor who was awarded a license from the Farmer Estate to finish what the founder of the Wold Newton universe had started. Carey has thus far contributed three more books: The Song of Kwaisin (2012), Exiles of Kho (2012), and Hadon, King of Opar (2015). A fourth title is yet to come and one hopes an anthology collecting Carey’s shorter works set in the kingdom of Khokarsa is also in the offing. While Exiles of Kho follows on from Time’s Last Gift, The Song of Kwaisin picks up where Flight to Opar (Farmer’s direct sequel to Hadon of Ancient Opar) left off. The brilliant ending of his latest effort, Hadon, King of Opar brings the series full circle by referencing Time’s Last Gift. While it leaves the door open for Carey’s forthcoming Blood of Ancient Opar, the six titles published thus far impart a marvelous sense of a circular history that is at once internal and expansive. The narrative that has been weaved by both authors ties together the works of Burroughs and Haggard in the hearts and minds of readers who were first inspired by their simpler age of adventure. Carey has done an extraordinary job of picking up the threads that Farmer left tantalizingly unfinished and crafted works that truly capture the spirit and intent of the originals. This is no mere licensed continuity giving us more tales of ancient Opar; this is the realization of one man’s dream to make the adventure fiction of his youth not only live again, but breathe with all the passion and pain and terrible beauty of the real world. A generation apart, Farmer and Carey have done a fantastic job of turning memories of childhood fiction into history so riveting we need no longer suspend disbelief to escape. Place yourself in their hands, they are the caretakers of dreams. 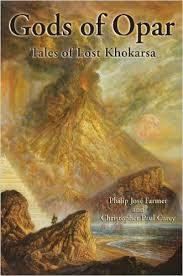 All six titles of the Khokarsa series are currently in print from Titan Books and Meteor House. Did the Burroughs estate sanction these as well? Or is Opar in the public domain? The Burroughs Estate is acknowledged and thanked for their cooperation on Chris Carey’s books. I don’t think many reputable publishers are interested in running afoul of ERB, Inc. or any other literary estate.